Size 30mm. Found resting on our garden fence. Identification needs to be verified. I think it might be the same species that showed the days and weeks before at the same spot (which I classified into a different robber fly gallery). 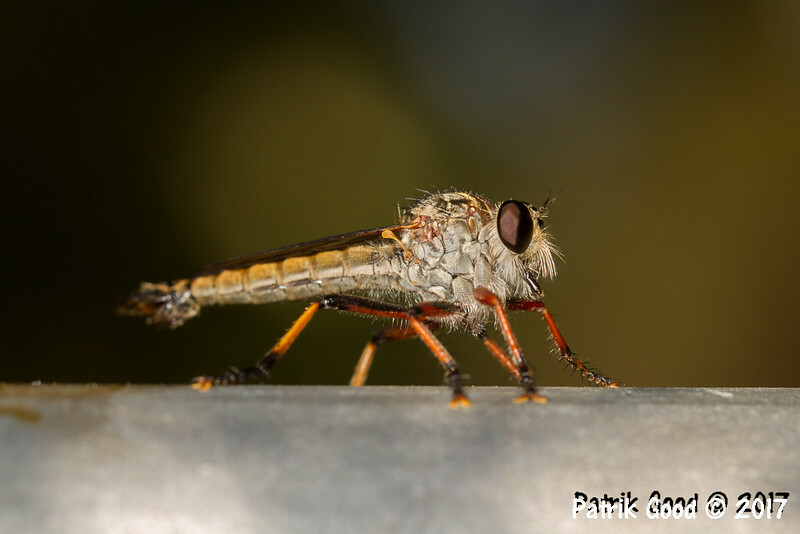 The robber fly is quite large, has long orange-red legs that show a dark line on its femur.